How is everyone doing? I hope all of you are well. I’m all alone this weekend, so have a chance to try out some new things to cook! I’m reading an awesome book right now called “Why We Get Fat,” I’ll make sure and post a review once I’m done. Got back from rounding at the hospital this morning and was quite hungry. 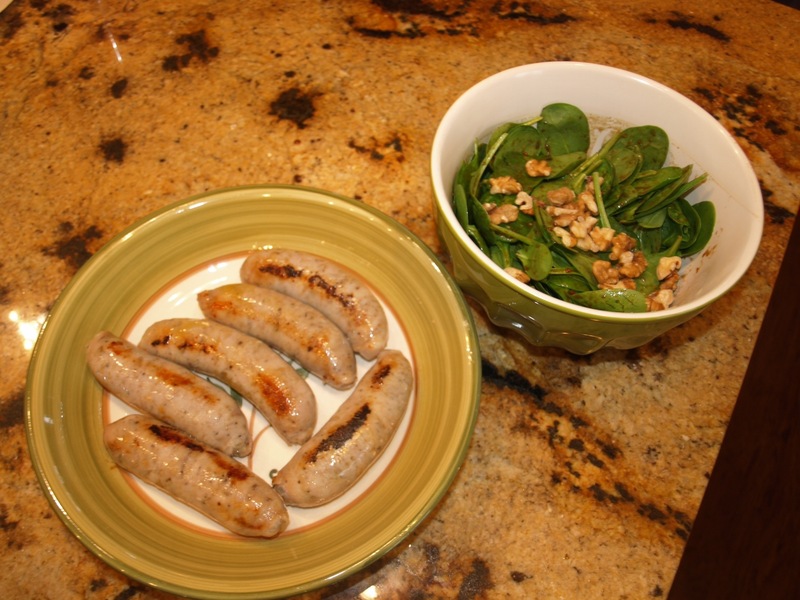 Ran by the grocery and picked up some Chicken apple sausages and served them with a spinach salad I whipped up. Tonight I decided to try something fun. There are so many Puerto Rican dishes that I grew up eating, and I’m convinced that many of them can be converted to Paleo. 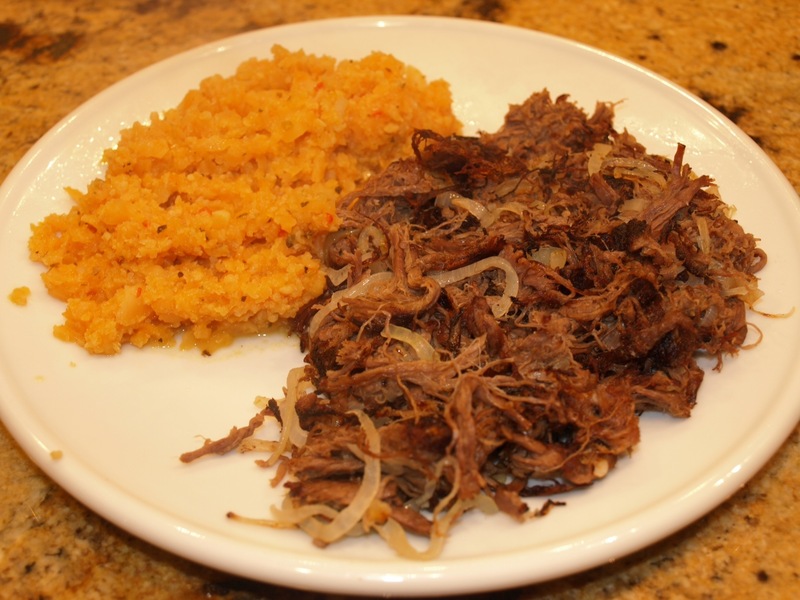 This evening I made traditional Vaca Frita (Literally, fried cow) and Puerto Rican style “Cauliflower Rice.” Honestly, I have to say, this may have been the best Paleo meal I’ve come up with yet!! I started with taking a whole flank steak and slicing it in two. 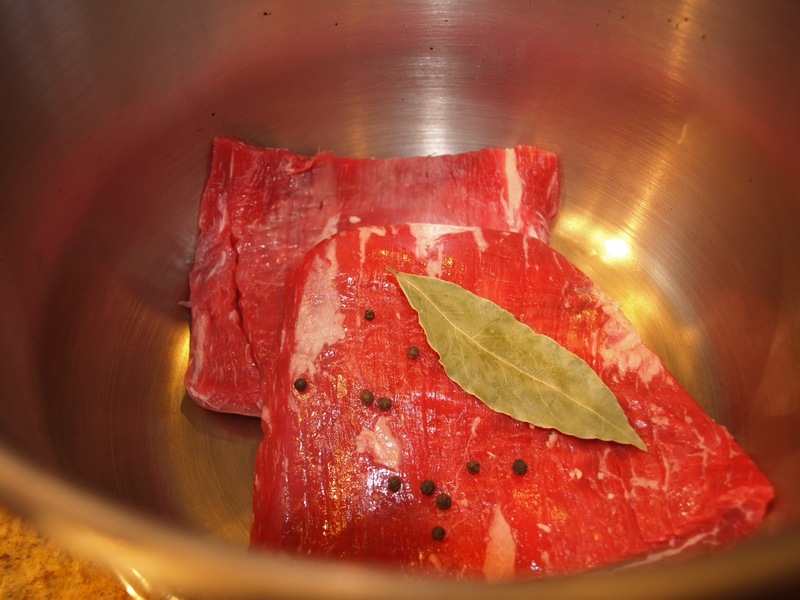 I threw it in the old pressure cooker with a bay leaf and 4-5 peppercorns. 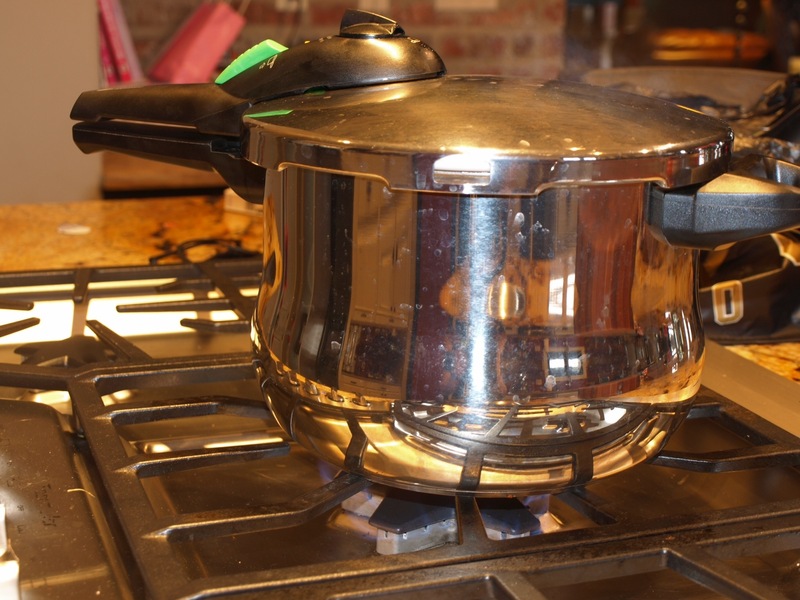 I filled it half full of water, cranked her up, and let it go at pressure for 45 minutes. 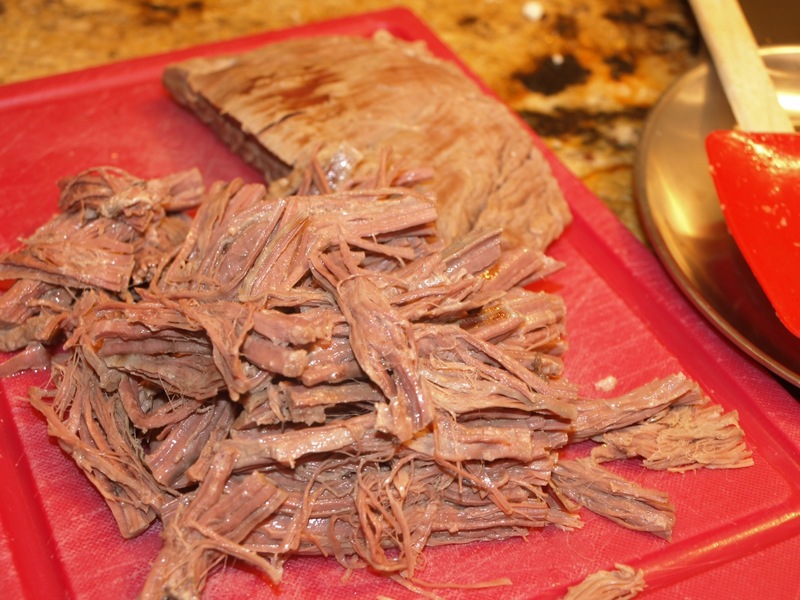 I let the pressure die down and once they cooled, I removed the steaks and shredded them and set the meat aside. Next I started on the Cauliflower. Normally I would make steamed rice and Puerto Rican flavored kidney beans. What I decided to do was to make Cauliflower Rice, but use the flavoring I would normally make the beans with! 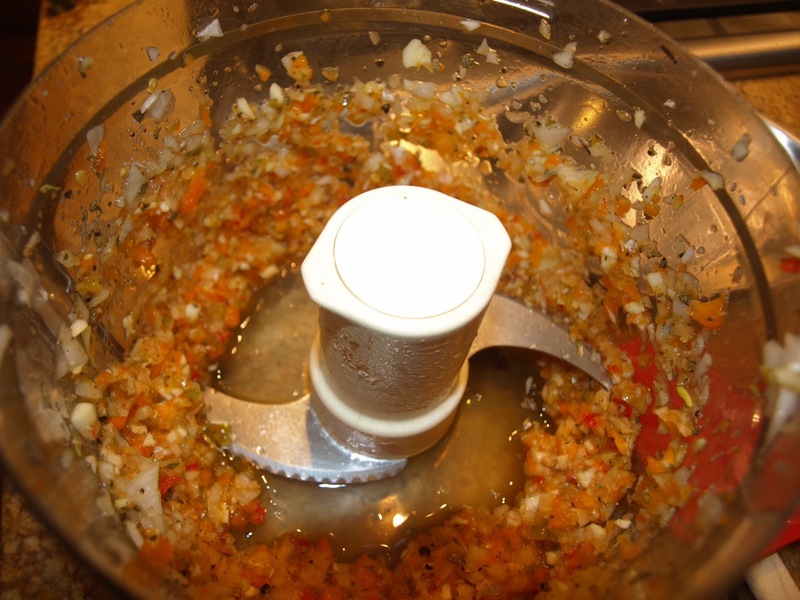 Start by making a traditional sofrito. In a food processor add half a yellow onion, 1/3 a sweet bell pepper, two large garlic cloves, 1/2 t of oregano, and 1 t salt. Process until pretty smooth. 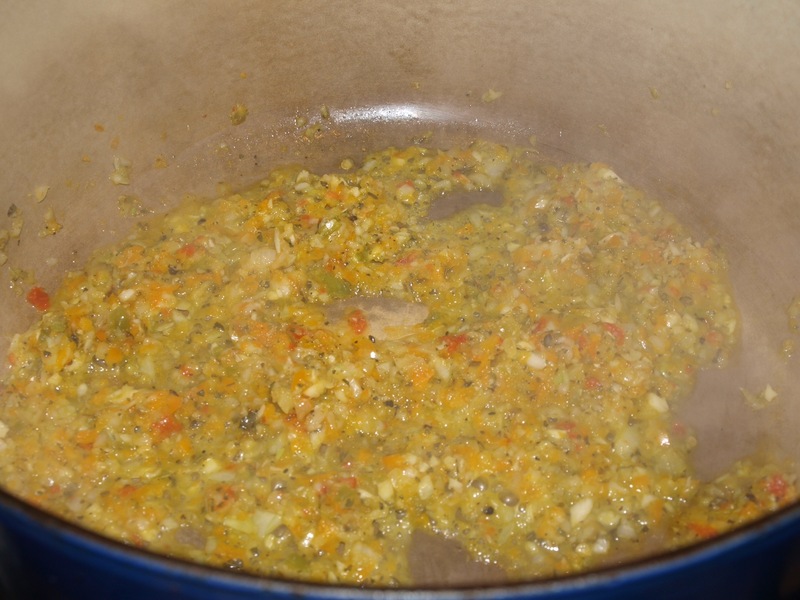 Add the sofrito to a pan with a good dose of olive oil and fry gently until the flavors come together. Next process the cauliflower until the consistency you want…basically rice like. Add the cauliflower to the pot along with a cup of chicken stock and a packet of Goya Sazon Seasoning. It’s not completely paleo I’m sure as it has a little MSG, but there is no flavor substitute! Cook this down, add a little salt to taste, and turn your attention to the meat. 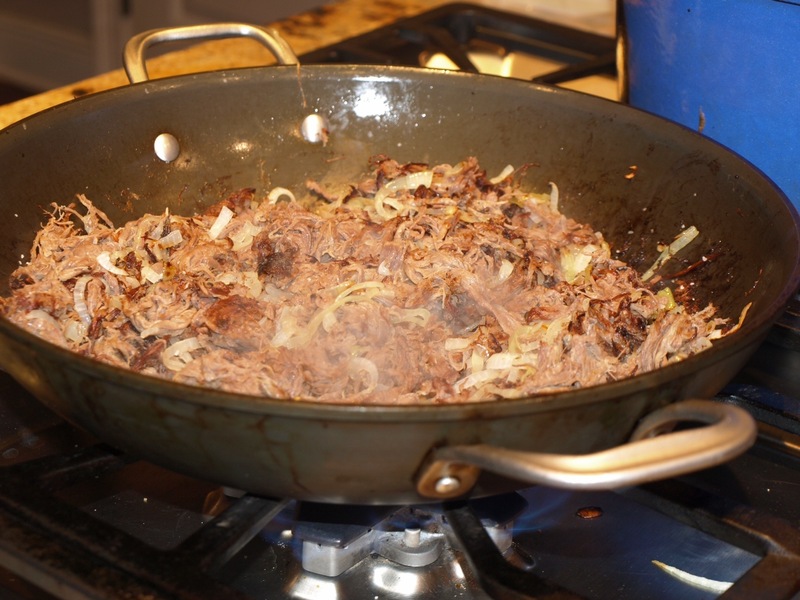 Slice an onion up thinly, and add it to a pan with olive oil with the heat up high. 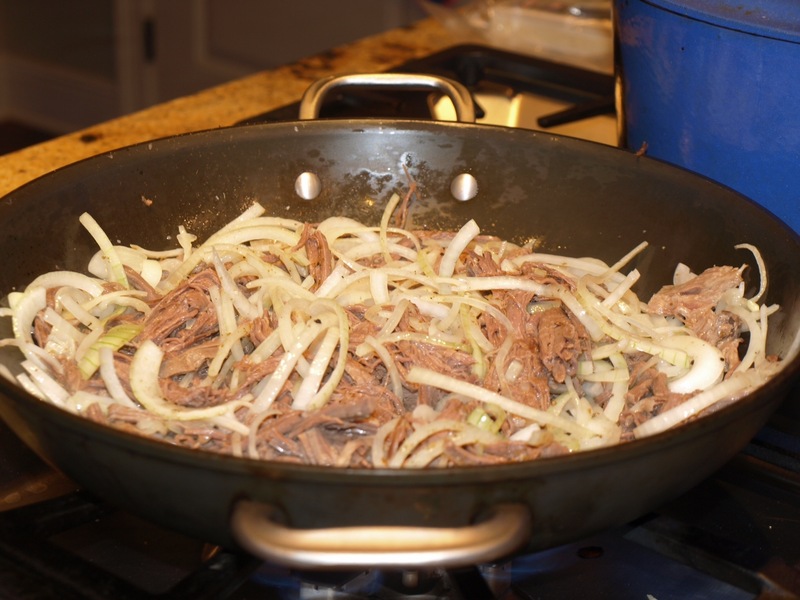 Add the shredded beef and season with salt, pepper, and just a sprinkling of cumin. Fry the meat, moving often until it gets nice and crispy. You are looking for around half crispy and half moist. Be aggressive with the heat to get the right flavor! Serve, and enjoy!